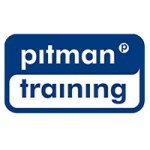 Pitman Trainings Social Media Award is designed for anyone interested in marketing, event organising or for PAs developing a career. For a career in marketing, event management, or as an Exec PA, you need to be social media savvy, or youre going to get lost. The same goes if youre a small business owner. Whether using social media to market your products or services, build loyalty or provide customer service advice, you need to understand the full spectrum of tools available before deciding which to use. With our Social Media for Business Diploma under your belt youll be able to create a strategy thats highly tuned to your specific objectives. Carear Path This award can help put you in the perfect position for roles such as Social Media Assistant or Social Media Manager. It's also useful for roles such as Marketing Assistant or Marketing Manager.